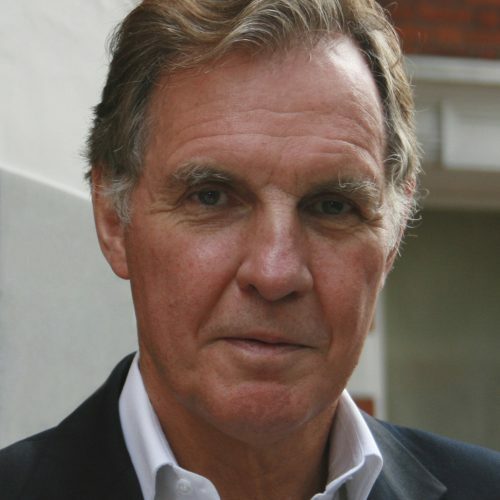 Christians in Government is grateful to have the support of some fantastic people, and Jonathan Aitken is one of them. Jonathan is a former Cabinet Minister and prisoner, and most of all a wonderful source of wisdom and support to us on our Advisory Board. So we asked him to share some encouragement for our members. First of all, could you share how you became a Christian? Twenty years ago if you’d asked me the question, I would have said, oh yes, CofE! Although I was at best half a Christian, which I now know is as good as being half pregnant! I attended church intermittently and knew some teachings from school but I thought Christianity was like an a la carte menu, where I could pick and choose. So I wasn’t a real Christian. But then my life fell apart. Entirely my fault, I lost a libel case and all of a sudden, I was in a vortex of defeat, divorce, disgrace, bankruptcy and jail. But it is in our pain and brokenness that we become closest to Christ. I realised the thing that matters most is a strong moral and spiritual foundation to one’s life. I didn’t have a hallelujah bingo conversion moment, and it wasn’t an easy journey. I went to Alpha, wondered if I was going mad, despite some progress, stumbled, doubted, and back-slid. But before I went to prison, I surrendered. From that moment, while everything got worse externally, internally everything got better. Prison to me was a good journey. Of course it was painful and difficult and yet there were good things. I found cells can be good places to pray and read the Bible. I learnt more about God from my fellow prisoners. After prison I had another interesting career change and went to the one institution in Britain which had worse food and worse plumbing than a prison! This was an Anglican Theological College, Wycliffe College, Oxford, where I studied Theology for two years in order to learn more about the God I had become so interested in. 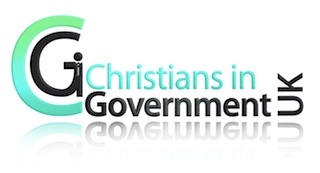 Thank you for being on the Christians in Government advisory board. What message do you have for Christians who work in government? As soon as I heard about the existence of Christians in government, I said I wish I had heard about it before. As the name suggests, it is a group of salt-and-light people, who must be committed to their faith. It takes a bit of courage and commitment to say I’m a Christian when I work in government. If they are a group of people like that, they deserve all the applause and encouragement they can get! What message do you have for staff who work in the Prison Service? Firstly I think it’s a difficult job, and most of you are doing a remarkably fair, honourable and decent job. Throughout my prison sentence I took a good view of the staff, which did not fit the culture. These guys are on the front line, dealing with some of the most difficult situations and people in the world, often made worse by drugs. There are exceptions, but the majority are brave, honourable and decent people. I know how difficult their job is, and I’ve seen appalling things happen in the prison being well handled. My message is, keep on despite the difficulties. Do you have a message for people in the senior civil service? The temptations of being a top civil servant are not so far removed from being the temptations of being a top politician. I know this because I succumbed! I think they can be prone as all the rest of us to failings: hubris, excessive caution and the insolence of office. I’d say be on your guard against arrogance. Try to be more loving, more human. And of course, I think all of us, high or low, should follow the teachers Teachings of Jesus Christ. If you do that you can’t go wrong. What would you say to people who feel under pressure? I’ve written two books: Psalms for People under Pressure; and Prayers for People under Pressure. Pressure is one of the great distorting forces of trouble and evil, bringing exhaustion and poor judgement. There are some practical things you can do. Pace yourself. There is no decision so important it needs to be rushed. Keep fit. Get enough sleep. Have a balance in your lives. Again, I think stick to the ancient paths. The best ramparts against pressure are following the teachings of Jesus Christ. Some people feel concerned about the pressures of being Christian in public life, as we saw with Tim Farron. What is your advice on this? There are very real pressures: political correctness, secularism, and downright hostility. All are real, but I think Christians should not be overly troubled. Political correctness is a sort of disease. In the end, Christian values are eternal, and have worked extraordinary well for centuries, and the idea we should abandon them due to modern political correctness is wrong headed. Correct about what? There can be pressure to keep silent, as Edmund Burke said ‘all that is necessary for evil to triumph is for good men to do nothing’. Doing nothing in the face of absurd political correctness is wrong. What’s your favourite Bible verse and why? I love a passage in Isaiah: they that wait upon the Lord shall renew their strength: they shall rise up on wings like eagles; they shall run, and not be weary; they shall walk, and not faint. What it says to me, if you wait upon the Lord you have to be patient. It gives you a vision and energy that is higher than anything of this world and will serve you well in all circumstances. Stay faithful Christians in Government!